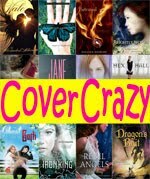 Seventeen year old Jenna Fox awakens from a year-long coma with no memory of who she was or the accident that led to her coma. At home with her father, mother, and grandmother, Jenna is shown home videos of herself to try to awaken her memories. As Jenna slowly discovers who she was through the videos and fragments of memories, she begins to realize things do not add up. When Jenna brings these questions to her parents, their responses are strange and filled with non-answers. What was the situation surrounding the accident? Why are Jenna’s parents acting so strangely? But, most importantly, who is Jenna Fox? To me, the best books are the ones that attach themselves to me in a way that lasts well beyond my memory of the specific plot details. Something about the book—a scene, a character, a thought or emotion—something grabs onto my heart and never lets go. They enrich my life, jumping out of the confines of paper and ink to fundamentally affect me on a personal level. These are the books that, years later, just the mere mention of the title or simply the sight of the cover will trigger those feelings in me. Suddenly I am transported back in time and my feelings for the book are as strong as the first time I experienced them. The Adoration of Jenna Fox is one such book. 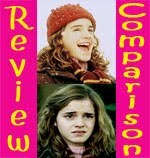 Just writing this review, I find myself fighting back great gulping sobs of both joy and sadness. I want to run to the people I love and never let them go. This book has touched me on so many levels. Though my review can never do justice, I hope it can at least inspire someone to read this amazing story. I can’t tell you much, that would be giving away too much and a large part of the experience is the slow realization of what is really going on. I can’t rob you of that experience (please, don’t read plot synopses or reviews that give away the story.There are spoilers all over the internet!). I can tell you the book is short and a standalone. The chapters are only a few pages long, and the pacing is brisk. The mystery is intriguing. Hints are dropped early on, and clues are uncovered at a speed that is slow enough to keep you wondering but fast enough to keep you satisfied. The big reveal is stunning. This is a book that can be easily finished in one sitting. Those are the facts I can tell you. Beyond that, I can only share my personal response to the story. I hope that doesn’t make for a lame review. It is no small task, sharing these feelings. I am overwhelmed, but in the best possible way. How do you put words to such powerful emotions? Emotions that strike you at the core, where no words exist? How do you write about a situation that cuts to your deepest feelings and then pits them against your deepest fears? The characters in this book may not be real and they may be dealing with a situation I will likely never face, and yet they are completely real and their situation is one that every person can relate to on some level. The literal situation may not be one we will experience, but the emotions of the situation are universal to anyone who deeply loves another. Jenna is the perfect narrator for the story. Her voice believably captures the confusion, alienation, and youth of her character. Her narration is as beautiful as it is painful. My heart breaks for her and, on some level, I love her. There are so many issues brought up in this book. Layers upon layers, touching on subjects we can approach intellectually and others we can only feel in the deepest, most visceral part of our cores. Each topic touched upon forces you to question your own feelings and opinions: Would you agree with one character? Would you make the decisions another character made? There are no easy answers. There are ethical dilemmas. There are situations that make you question what is right legally, and what is right personally. There are questions of selfishness and selflessness. There are questions that are philosophical, and questions that are theoretical. There are questions we deal with right now, and questions we will face just over the horizon. There are questions that cannot be answered intellectually; they transcend thought, instead coming from your gut in a primal, purely emotional way. What would you do? What decision would you make? The book is constantly pushing these questions in front of you, but never arguing one way or the other. Events are resolved one way, but Pearson does not pass judgment on whether this is the right way; it is just a way. Pearson presents all sides and all possibilities in a way that leaves you understanding and sympathizing with all of the characters, even the ones you may ultimately disagree with. In the end, the questions remain in your mind long after the last page is turned and Jenna’s situation decided because they are not just Jenna’s questions, they are yours. Oh, wow. Amazing review. I've had this book on my TBR list for a while. Now I'm just dying to read it! This is an amazing review. I'm officially on the lookout for this book! I've seen this book around but never knew what it was about. 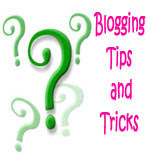 You've convinced me to put another book on my TBR list :o) Great review! I love big reveals in stories! One where you honestly don't see it coming. I sort of saw this one coming because I had been slightly spoiled, but there were still a lot of surprises. If you know nothing about the story when starting it, then the reveal is HUGE and yet still completely believable. I've got this on my shelf so I'd better read it! This book has been on my TBR for absolutely ages - I've heard such wonderful things about it, and your review makes me wonder why I've put it off for so long! I must get to it soon! I hope you enjoy it :) I'll be looking forward to hearing your thoughts on it. I just want to gush about this book, but I don't want to spoil anyone! I just got chills from reading your review. I've had this book on my TBR list for a while and it just got bumped to the top. I hope you enjoy it! Chills is a very apt word for this book. Aw, yes, I felt so sorry for Jenna! I really do hope you enjoy this book. 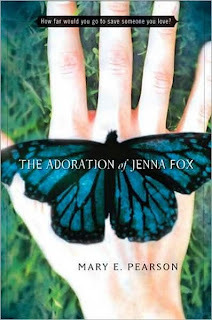 I just finished reading The Adoration of Jenna Fox! It was great, and I can't wait to read some of Mary E. Pearsons's other books such as, The Miles Between. Thanks so much for recommending it to me! It was fantastic! T.B. Aaah you’re so welcome! I’m so glad you enjoyed it!! There’s a sequel coming out soon…I think it’s called The Fox Inheritance.